A new study from the University of Colorado Cancer Center reveals that bitter melon juice restricts the ability of pancreatic cancer cells to metabolize glucose, thus cutting the cells’ energy source and eventually killing them. The findings of the study were published in the journal Carcinogenesis. “Three years ago researchers showed the effect of bitter melon extract on breast cancer cells only in a Petri dish. This study goes much, much farther,” says Rajesh Agarwal, PhD, co-program leader of Cancer Prevention and Control at the CU Cancer Center and professor at the Skaggs School of Pharmacy and Pharmaceutical Sciences. Argwal became interested in bitter melon juice by connecting the dots of existing research in new ways. Pancreatic cancer is typically preceded by diabetes, and bitter melon juice has been shown to effect type-II diabetes. It has been used for centuries in the folk medicines of China and India to combat diabetes. Argwal and colleagues wondered what would happen if they left diabetes out of the equation and directly examined the link between pancreatic cancer and bitter melon. 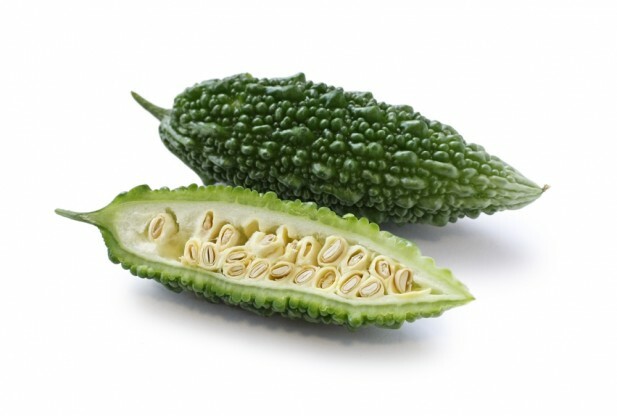 Bitter melon also regulates insulin secretion by pancreatic beta cells. The mouse model of pancreatic cancer was fed bitter melon juice after studies of cell cultures were done. Compared to the control group, the mice fed the bitter melon juice were 60 percent less likely to develop pancreatic cancer. Argwal’s team is applying for grants to allow them to continue studying bitter melon in further chemoprevention trials in mouse models of pancreatic cancer.